When Maria Pisani, then coordinator of the first State-run open centre at Ħal Far, got a call that a boat had arrived carrying a significant number of women and children, panic set in, alongside a sense of urgency. This was 14 years ago. The migrants were to be housed in a padlocked and empty building at the abandoned barracks. The staff had to prepare for an unknown number of people. They bought buckets and detergent, and it was all hands on deck, with the residents also helping to clean up throughout the night. In the early hours of the morning, two military trucks arrived with the residents: “I remember carrying babies and young children off the truck, their exhausted parents slowly following. “In a sense, these were the lucky ones. The detention centres were full and couldn’t cope with the new arrivals, so they came directly to us,” Ms Pisani recalls in a new publication about refugees. Called Our Island: Personal Accounts of Protecting Refugees in Malta, the book is quite timely. Over the weekend, a standoff between Malta and Italy over the fate of 629 migrants, including pregnant women and children, raised concerns over the island’s preparedness to take in a sudden influx of asylum seekers. The publication, by Aditus Foundation supported by the Arts Council Malta, gives a voice to those who were present at key moments of Malta’s interaction with refugees in contemporary history. These were not just years of refugees arriving and a nation responding but “years packed with myriad intricate stories of political debate, social awakenings and interactions and countless glorious and tragic moments,” according to the Aditus director, Neil Falzon. 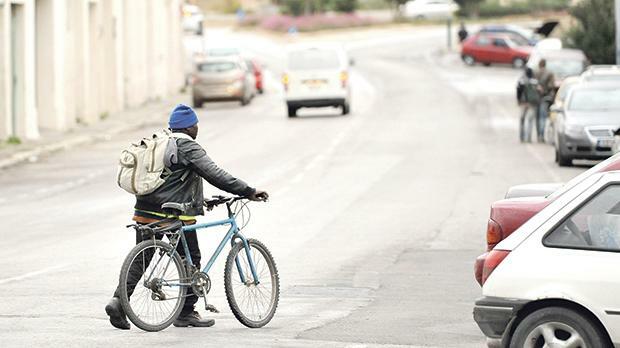 One of the migrants who features in the publication started a new life in Malta in 2002. Ali Konate, who is from Mali, was among the first boat arrivals. He has since cofounded the Migrant Network and is self-employed, but Mr Konate has come a long way. He recalls that while working his way up in the labour force he faced “inhumane” working conditions. When he once expressed concern about his dangerous working conditions on a roof, his appeal for safety was ignored, he said: “I had to go back to the same site and do it again. “That was a very painful experience. People don’t see you as a human being. “This is exactly what you feel when you face racial discrimination. You feel you are not good enough as a human being and you don’t deserve to be like anyone else. It is difficult,” Mr Konate said. He strives to promote the values of respect, protection and equality among migrants. He believes things have changed over the years, and though his life here has not been easy, he is thankful to Malta. As a new father, he has thought about moving to Germany but considers Malta to be his home. “Germany might be nice, but after 15 years in Malta I am attached to this place. I didn’t even spend 15 years in Mali, where I was born, but here I have spent 15 years. No matter what happens and where I might go, I will come back to Malta,” Mr Konate explained. From 2002 to 2016 Malta received over 21,000 asylum applications, with a yearly average of around 1,625 new applications. Over 80 per cent of the migrants arrived by boat. Overall, Malta’s rate of offering international protection exceeds 60 per cent, in the form of refugee status or subsidiary protection. National protection, in various forms, has also been granted to over 1,000 people. From 2000 to 2017 an estimated 33,761 migrants and refugees lost their lives in the Mediterranean Sea. Copies of Our Island: Personal Accounts of Protecting Refugees in Malta are available from the Aditus Foundation office. Find more information on info@aditus.org.mt.